We accumulate tissue damage due to natural, endogenous aging (“genetic clock”). Environmental factors (e.g. sun, cigarette smoke, climate, air pollution, nutrition, stress). Cosmetic anti-aging products can slow down the aging process, but they can’t completely reverse it (yet!). Avoid irritating your skin with cleansers that are too neutral or aggressive. Use mild, soap-free cleansing products with pH 5.5 for sensitive skin (e.g. Sebamed Liquid Face and Body Wash for normal skin, Sebamed Anti-Dry Wash Emulsion for dry skin) whenever you wash, shower, or bathe. Give your skin a bit more love with additional nutrients, protective agents, lipids, and moisturizers. These nutrients go a long way to make up for the fact that you’re starting to produce them more slowly. Apply high-quality skin care products regularly (everyday, if you can), especially on skin sites that are exposed to environmental stress. Choose products that work best for your skin type. 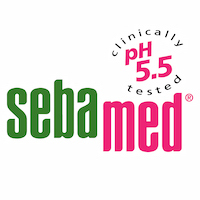 Choose creams and lotions with pH 5.5 (like Sebamed Q10 Anti-Aging products) to maintain the optimal level of acidity for your skin. Avoid and/or protect yourself from environmental factors that speed up skin aging, especially cigarette smoke and sun. Support skin circulation with regular exercise (walking for 30 minutes 3 days per week is shown to make a huge difference!) and massages. Consistently applying and massaging creams and lotions into your skin is a great way to increase circulation. Protect your skin from becoming dry or irritated after sunbathing by moisturizing after every time. Drink at least 2 liters of water, herbal tea, or fruit juice daily. Staying hydrated is vital for healthy skin. Eat food rich in minerals, vitamins, and essential oils.